New Giveaway! 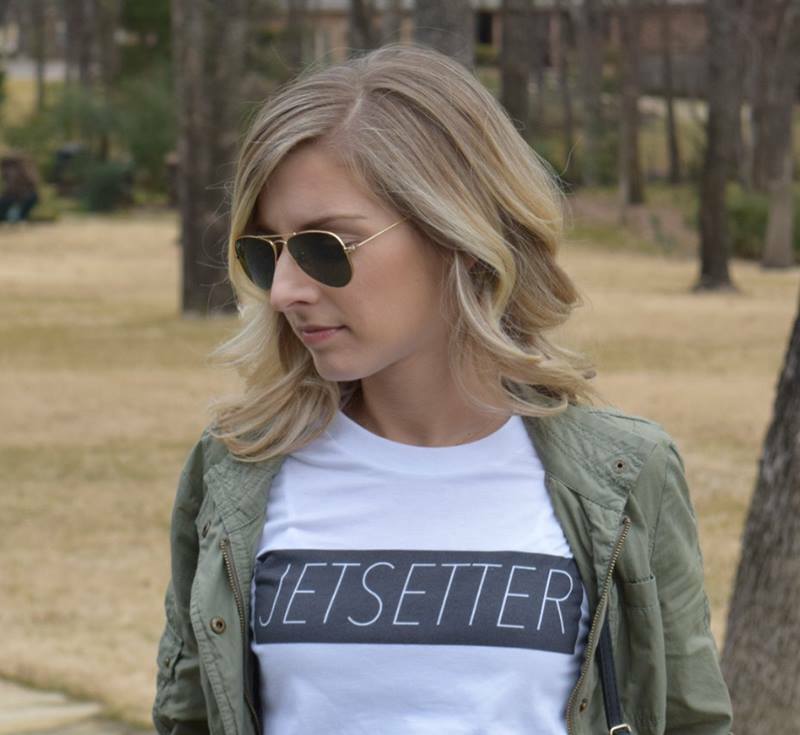 Enter To Win A Jetsetter Tee From A Pilot’s Wife! If you haven’t seen these adorable shirts yet, you need to! I promise you, my fine readers, that I will never promote things that I don’t love myself. And these are super cute! 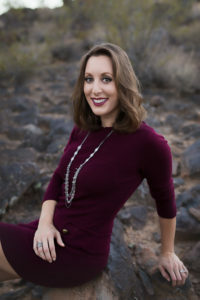 Lindsey is a friend of mine who is also a blogger and pilot’s wife. As soon as I read her recent post about starting a line of t-shirts for pilot’s wives, I was so excited! I love supporting other pilot’s wives and their business ventures – and when it’s something this awesome, it’s a win-win! Here’s a little more about Lindsey and her line of tees. Don’t forget to enter below to win one! My husband and I love to travel and we try to get away anytime we can. When I travel, I want to be comfortable and often a basic cotton tee is always a part of my look. Given that, and that fact that statement tees are all the rage at the moment, I decided, why not start a t-shirt line that is inspired by travel and aviation? When you can’t find what you’re looking for… create it! Which is exactly what I did. I designed each of the t-shirts myself, and continue to think up new designs on a regular basis. Currently, I’ve decided to stick with a basic white tee with black font. There is simplicity in the look, and it’s of course, classic.We recently traveled to Steamboat Springs, Colorado, and I wore the “Whiskey Tango Foxtrot” tee for the flight. As I went through security, the TSA Agent looked at me and said, “I see what you did there, love that shirt!” It was such a great feeling! And, that tee is by far the most popular. Thanks, Lindsey! Alright, who’s ready to win one? 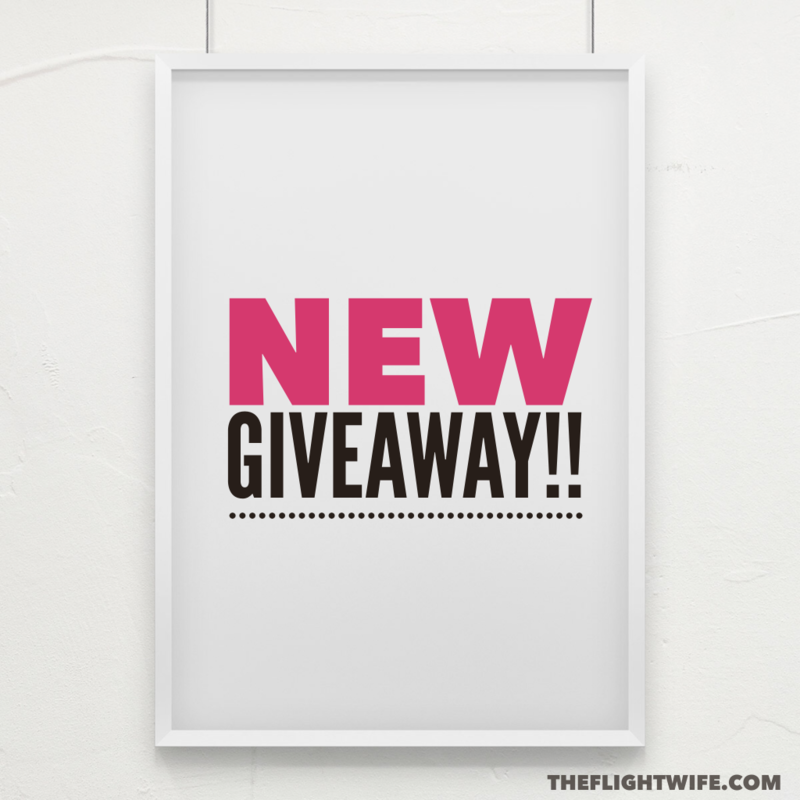 Just enter your info below, follow both Lindsey and The Flight Wife on Instagram (and “like” our Facebook pages if you want to be awesome – it’s optional) and unlock some bonus entries to follow us on Twitter! P.S. Can’t wait for the contest to end? (I can’t blame you!) 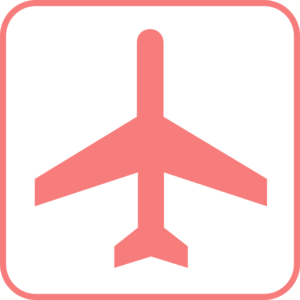 Lindsey has generously offered a 15% off discount code for ALL Flight Wife readers!! Use the code THEFLIGHTWIFE and get yourself a cute shirt!